Earlier this year, General Cigar released a series of informational bits about a new line coming from their Punch marque. The line began shipping in March, and is currently on store shelves. I received a few samples of the robusto vitola, and after smoking through a few of them thought I would post up my notes. The line is a tribute and approximation of the original Punch line that dates back to the 19th century. 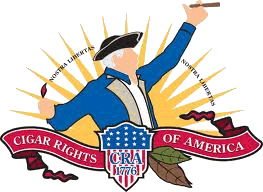 It features an Ecuadoran Corojo wrapper which “is related to the original Cuban Corojo seed.” The binder is a proprietary Connecticut Habano varietal, while the filler blend consists of Dominican and Nicaraguan leaf. They are of the same variety as the original Punch blend, with one key difference: Some of the components are quite aged, while others less so. Leaves with more age are intended to bring flavor and balance, while the younger tobacco is meant to bring more strength. 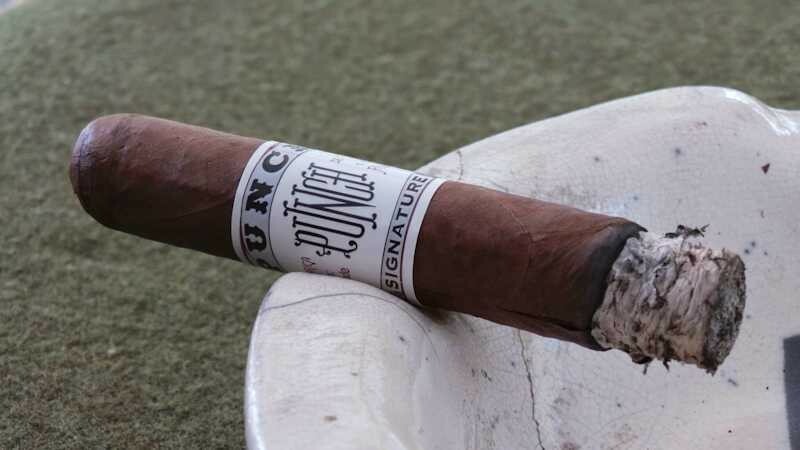 The Punch Signature comes in four vitolas (Robusto (5” x 54, $6.79), Gigante (6” x 60, $7.39), Rothschild (4.5” x 50, $5.39), and Torpedo (5.75” x 52, $6.99). The Ecuadoran Corojo wrapper is medium brown with some mild mottling and next to no tooth. There is some telegraphing of the bunch underneath. The pack feels solid and consistent throughout the length of the cigar, with moderately sized veins and barely visible seams. The draw resistance is well within the normal range, but provides little flavor. The aroma is faint as well, with only a little fresh-cut hay coming with a quick sniff. Two of the examples smoked for the review had splits in the wrapper which would run along the cigar as it burned – but I must confess that they never became more than a passing concern. From all appearances, the internal structure was sound and the cigar behaved well for the most part. With first light of the Punch Signature comes an instant rush of sweet peppery spice. Wait…..what? Sweet peppery spice?!? That’s the best I can describe it. It’s akin to some Asian ginger/honey/pepper sauce combinations I’ve tasted before – or maybe mango-habanero. In any event, it’s a refreshingly unique flavor right from Jump Street. I realize this cigar is meant to be a return to a blend more like the original Punch, but it feels very “new school” to me in these early moments. There’s a slight vegetal character to the flavor which always summons this idea to mind when I encounter it. The spice would eventually subdue around the ½” mark, although it never fades entirely during the first third. As the sweetness wanes and assumes more of a supporting role, the flavor becomes nutty and almondine. Going into the second third of the Punch Signature brings further development of the chile pepper flavor without a measurable change in the nasal spice on retrohale. As the chile takes a more prominent role, the earlier almond flavor subsides, which brings in more sweetness. This provides a very entertaining chili-chocolate combination that brings Lindt Chili Chocolate to mind (a big thanks to Dale Roush for turning me on to cigar and dark chocolate pairings). The burn has been fairly consistent to this point, requiring minimal touch ups along the way. The ash, which has a quite flaky appearance, has surprisingly held on for more than an inch. My only criticism here is that despite the ability of the ash proper to cling to the cigar, it continually dropped flakes of ash all over me…the table…my computer….wherever it happened to pass. Entering the final stretch, I’ve noticed the cigar has intensified in strength markedly. By today’s standards it isn’t an overwhelming nicotine bomb, but nicotine-sensitive folks like myself will need to mind their cadence and not smoke the Signature on an empty stomach. Overall, I would place the strength of the Punch Signature on the more moderate end of full. The burn has continued to wander at times, but never became seriously problematic. During this final portion, the flavor profile took a noticeable turn toward a more woodsy character. There were occasional bouts of cedar, but it was predominantly oaken in nature. As I neared the very end, a slightly burnt flavor came through that reminded me of a charred whisky barrel. Except for a recent review of the Punch Rare Corojo , I must admit that I haven’t smoked a large number of the brand’s offerings in the past few years. It’s a marque I had let fall off my radar. 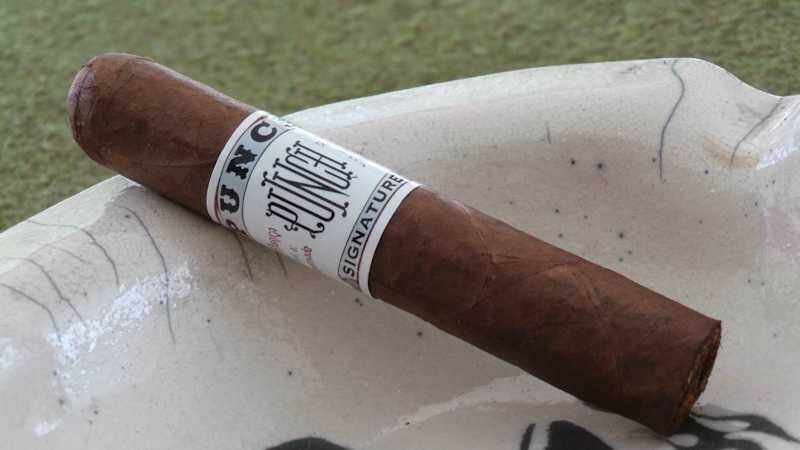 I’ve been impressed with General Cigar’s revamp for some of their other offerings (notably the Partagas line, and specifically the 1845 which I believe is a very good cigar), but have paid little attention to Punch. I must admit that the two lines I’ve recently had the opportunity to smoke have piqued my interest. This Punch Signature is particularly impressive. I don’t remember a Punch product I’ve enjoyed this much since the Grand Cru #2 maduro of several years ago. At the price point, this cigar is a no-brainer and I have little doubt I will make it a regular feature in my personal humidor. The ultimate question to be asked of any cigar reviewer is “Will you spend your own hard earned cash on this cigar?” For me, the answer is yes.